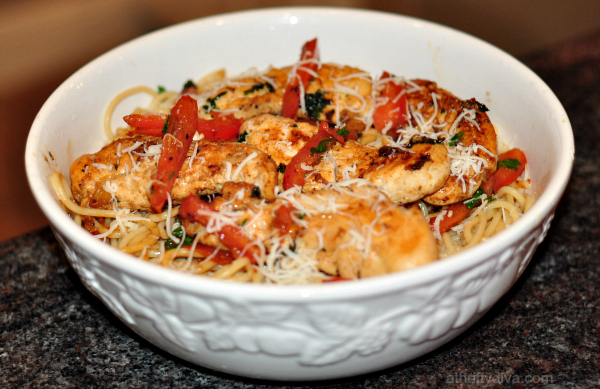 I bring you this delicious Garlic Butter Spaghetti and Chicken Recipe. It’s the battle with my cooking skills to break up the monotony of the same routine meals week after week. Oh, spaghetti and meat sauce you have ruled my kitchen week after week. So easy, that I can turn out a spaghetti dinner in thirty minutes flat! My husband gets so tired of spaghetti and meat sauce. My oldest could eat it everyday. Last week, I challenged myself to make healthier versions of my favorite simple meals. This was a total winner in my house. Everyone loved it! It’s refreshing and not a heavy meal. Boil Water and cook spaghetti according to package. 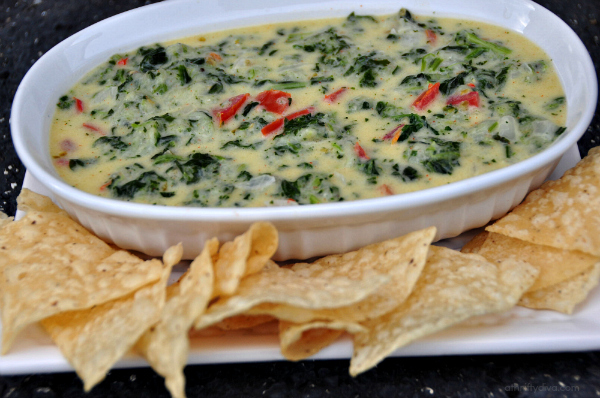 In a large pan add 2 tablespoons butter and 1 tablespoon minced garlic med-high heat. Slice chicken breasts to cook evenly. Place in pan and cook 4 minutes on each side or until no longer pink. 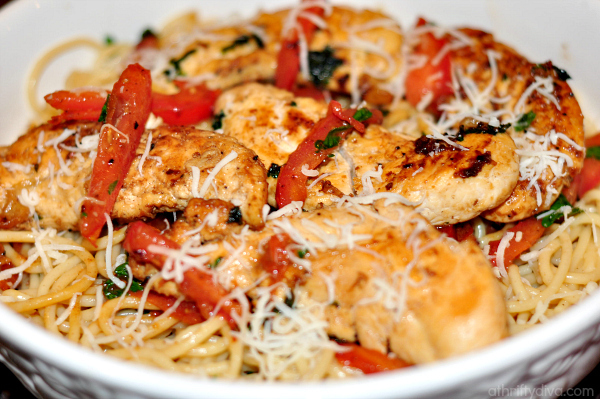 Place grilled chicken on a plate. Add remainder of butter, garlic, parsley and tomato to pan. Stir frequently cooking two minutes. Add garlic butter sauce to pasta and toss. Mixing all together. 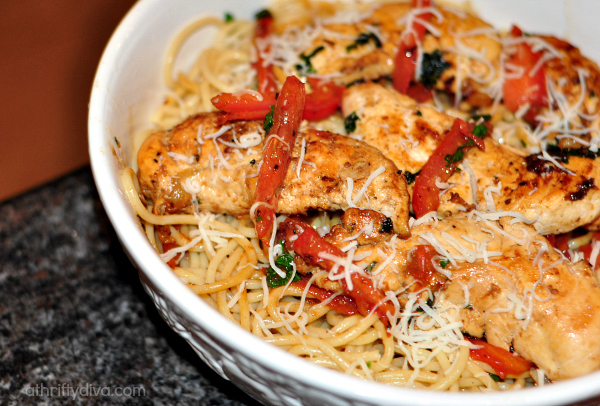 Do you have any pasta dishes that you are head over heels for?